Since I don't see him on the court, I have to constantly remind myself of Gordon Hayward's vital importance to the Boston Celtics future. Think of adding Gordon to the team at 100% right now. Think that would make a significant difference? You bet it would! I just got back from the gym and had a painful reminder of how excruciating weighted calf raises can be. The calf muscles burn from lactic acid buildup, but they also generate frictional heat during the exercise. They literally get hot. My next thought was how hard it must be for Hayward to be going through this punishment with a left ankle that is still recovering. The tibia machine isn't any less painful, even for a healthy ankle. That is an exercise where you raise the front of your foot towards your knees, the opposite of a calf raise. More burning. The video below is excellent showing these exercises with rubber bands instead of machines. “Just go into rehab like you go into everything else — dominate it and come back when you feel ready,” said the Patriots tight end. Gronkowski was then asked about the mental challenge of dealing with such a catastrophic injury. He said it’s not only missing your teammates, it's being away from the sport as a whole. That’s a big part of the struggle Hayward will soon be facing. The ankle joint in professional basketball players needs to be very strong. Coming down on another players foot after taking a shot or grabbing a rebound is inevitable. 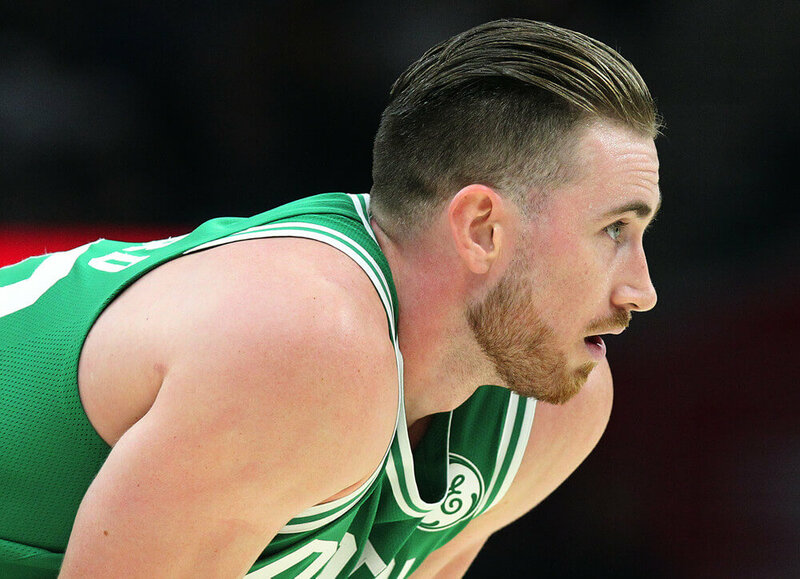 I would assume that Hayward is now taking flat-footed shots on the court, and it should not be too long until he is using his hip, knee and ankle joints to propel the ball. In other words, he will be back to using his legs to shoot. That step is huge and probably not far off. It will be quite an emotional lift for him, but the pain of ankle exercises never goes away. He will most likely be doing them for the rest of his career. All basketball players should. It will be great to see him back on the court, even if it is just hoisting jump shots in practice. When the question gets asked, what player would cure the Celtics present woes, particularly on offense, the answer is Gordon Hayward.